Automeris io - Hodges#7746 (Io Moth) ♂. Size: approx. 25 mm. Photo: 08/20/14, 11 pm. 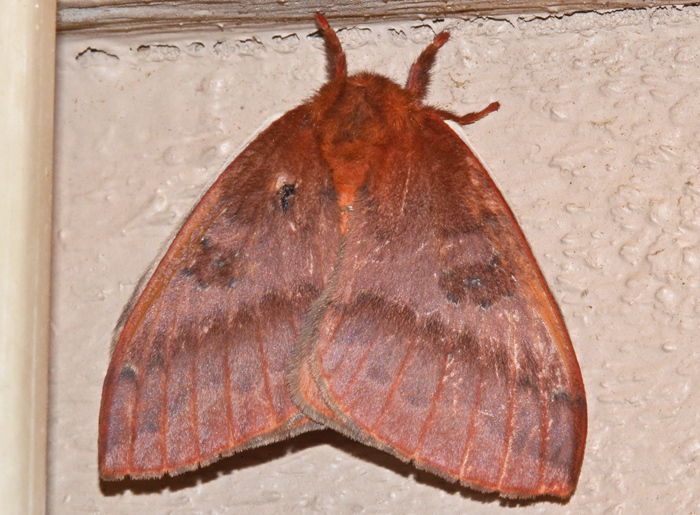 The Io (or Peacock) Moth has two large, black and blue eyespots on their hindwings, which cannot be seen on my photo. This distinctive pattern is quite amazing and I regret that I didn't wait longer to see it. The caterpillars of this species are usually found in groups. Their color is orange early on and then changes to a pale blueish green with clusters of spines. The larvae may "sting" if handled. Automeris io - Hodges#7746 (Io Moth) ♀. ... and here is a female Io Moth. Again I didn't wait long enough to see the striking eyespot patterns on the hindwings of this big moth (wingspan up to 8 cm). 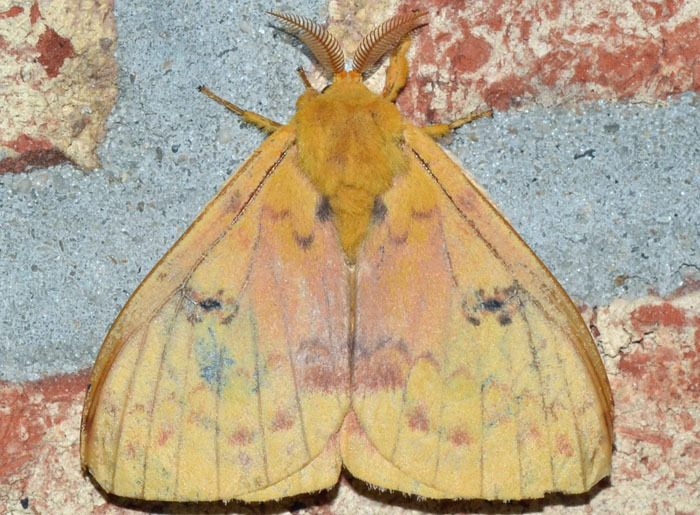 Io Moth populations have declined in the Gulf States (with the exception of Louisiana) and elsewhere since the 1970s.